I moved to Northern Colorado from West Texas in 2004 to study at Colorado State University. I was unsure of what direction to take my studies but knew that I needed to be intricately involved with people. After a 5 year career that included sales, marketing, journalism, commercial and residential leasing, I moved into real estate. I enjoy striving to be the best at what I do, and bring that passion for excellence into everything I do as an agent. For me, what sets Fort Collins apart and keeps me engaged are the amazing people I’ve met and built great relationships with. Not to mention the plethora of outdoors activities, the eccentricity of Old Town, the great schools, amazing restaurants and being close to my alma mater, CSU. This area is truly a great place to live. I draw a lot of inspiration from my time as a journalist. I started in high school and quickly set a finger to the pulse of a lot of interesting people and businesses. I carried that into college and then into a staff writer at a local paper. It taught me to truly listen, the dig a little deeper to find the real issue but more importantly to seek out and treasure the story I find in everyday life. When I'm not working, I love to explore, whether it’s a new destination, restaurant, gym class, coffee shop or author. Also, I love the water. Whether it's swimming laps in my gym's outdoor pool in the middle of winter, snorkeling in the Bahamas or gaining more experience as a scuba diver. I am most looking forward to my next trip to Mexico. Vashti was amazing! Great follow up, and a wonderful person to work with. We will use her again for all of our real estate needs. It was a very challenging market but [with] 8z and Vashti we found exactly what we were looking for. There are three main reasons why my 8z Realtors are such effective agents. They are careful listeners, know people who can get things done, and are on the cutting edge of real estate technology. Bought a Single Family home in 2019 in Bennett, CO.
My husband and I are first time buyers who have been working to come into a comfortable position to purchase for the last year since we discussed buying with Vashti. She connected us to an incredible lender who oriented us to the lending world. Since our first interaction we have been bombarded with real estate agents, even some licensed agents that are close to us. The difference between them and Vashti comes down to two things. Vashti is more experienced in transactions and negotiations but more importantly when we talked to her she had a way of encouraging and motivating us when the process seemed daunting. She'll always find a way and that makes a world of difference. You will not regret working with this smart and caring woman. 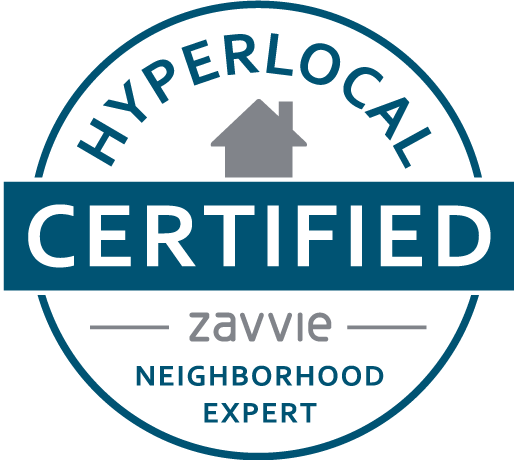 Bought and sold a Single Family home in 2018 for approximately $425K in Ridgewood Hills, Fort Collins, CO.
Vashti is a very uniquely qualified agent. Even though she is aggressive and highly motivated behind our view, she makes her job seem effortless and recreational to the buyers and sellers. She has the ability to smooth over any problems the “other” agent has and immediately create solutions. She could seriously be an international diplomat. 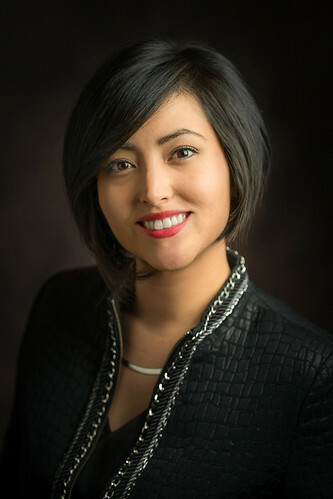 She is highly connected with other agents, brokers, and lenders. She was able to secure us a purchase on our new home even though we had been outbid because she knew just the right local mortgage broker to use so that the seller’s agent would highly recommend us to the seller. When we were looking to add to our rentals, I found a hot prospect. She secured us the very first showing, we had cash, and we walked away paying $5000 under the asking price on a house that should have had a bidding war. We rented the house in 4 days! She then sold our previous home a week ago when the market was virtually frigid. All in all, $1.3 million bought and sold in three months, with certainly only complements on our part. Needless to say, HIGHLY RECOMMENDED! Bought a Condo home in 2017 for approximately $250K in Greeley, CO.
Vashti was tireless in looking for and getting us appointments to look at places. our search went on for months. she was there for us at a moments notice when we found places we found on our own. she is very personable and became like family. she truly cares about her clients and listens to what we wanted. we would retain her again knowing she would walk us through it with ease and confidence. she is very knowledgeable. Vashti is great to work with! She is so resourceful and helped me all the way through the process of buying a home from out of state. She sacrificed her time and effort in helping me find just the right home, and then was a great help after the sale with services I needed to complete the home buying experience. For example, she was able to get me in touch with movers and outside the sale things such as music jams that I would like to get involved in as I adjust to moving to Colorado. She is a super person and easy to talk to. I highly, highly recommend her for a real estate agent! She goes the extra mile!! Bought and sold a Single Family home in 2018 for approximately $375K in Johnstown, CO.
Vashti was such a good agent for us. We needed to find the right home at the right price, and we were in no hurry to move. Vashti was extra patient with us. We never felt any pressure. And yet every time we showed interest she jumped right back in to help. Finally when we found the house we wanted she made quick work of selling our home so we could make it all work. Our home was always the number one listing online until it sold. She really came through for us and was a pleasure to work with. Showed home in 2017 in Campion, Loveland, CO 80537. Vashti assisted us for several weeks last fall looking for a home in N. Colorado. Although we were unable to find the right home for our needs within our budget, we thoroughly enjoyed working with Vashti. She worked tirelessly on our search and spent many hours taking us to showings in the Ft. Collins, Loveland, and Greeley markets; all the time maintaining a cheerful positive attitude. We eventually purchased a home in a different market through another agent, but regretted that Vashti would not see any commission for her hard work on our behalf. Bought a Condo home in 2017 for approximately $525K in Central Business District, Denver, CO.
Vashti is knowledgeable, professional and responds very quickly. She negotiated an amazing deal for us on our new condo when the other agent did not want to present our low offer. We loved her!